The sweet, creamy flavors of cinnamon and nutmeg make Pumpkin Spice just right for fall’s crisper days and cooler nights. Indulge in the fragrance and flavors of the season! 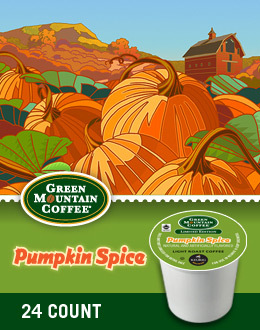 Pumpkin Spice offers the experience of fresh-baked pumpkin pie — redolent with warm spice notes and creamy body — in this luscious Limited Edition coffee.